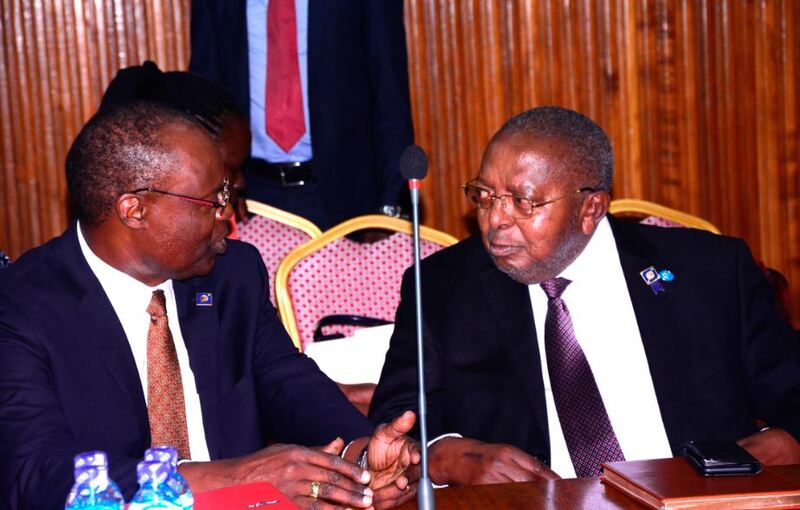 KAMPALA – The Committee on Commissions, Statutory Authorities and State Enterprises (COSASE) has set up a three-member Committee to look into a request by Central Bank Governor, Emmanuel Mutebile to treat some documents on the closed Banks as confidential. The announcement was made by COSASE Chairperson, Abdu Katuntu while meeting with officials from Bank of Uganda who had appeared before the Committee to provide responses to findings in the August 2018 special audit report by Auditor General that highlighted a number of controversies surrounding the closure of seven commercial banks. The banks’ closure under investigation include Teefe Bank (1993), International Credit Bank Ltd (1998), Greenland Bank (1999), Co-operative Bank (1999), National Bank of Commerce (2012), Global Trust Bank (2014), and Crane Bank Ltd (2016). The last meeting between the two institutions ended prematurely after the Committee discovered that the Bank of Uganda’s officials hadn’t provided the Committee with relevant documents to respond to the Audit queries. On 5th November, Mutebile accompanied the documents with a letter asking the Committee to treat some of the documents as confidential, warning that making them public would affect the Banking sector. Mutebile wrote that the records and documents contain discussions, recommendations, and resolutions many of which are of a highly confidential nature to the financial industry, touching on the sensitive matters that can potentially have the effect to other financial institutions in existence. In response to Mutebile’s letter, Katuntu announced that the file that the Governor sent specifically to him contains confidential information and he has not shared with anybody. “I am going to set up a three-man committee to study this file amongst ourselves because of the concerns raised by the Governor,” Katuntu said. However, Katuntu warned the Central Bank against leaking some of the said confidential documents, “Your institution leaks documents. Don’t leak documents because you have a point to score against each other. Don’t leak some of those documents and you need to plug your leakages,” said Katuntu.